Throughout the history of the church, Christians have used catechisms--collections of questions and answers designed for memorization and recitation--to teach others the core doctrines of the faith. 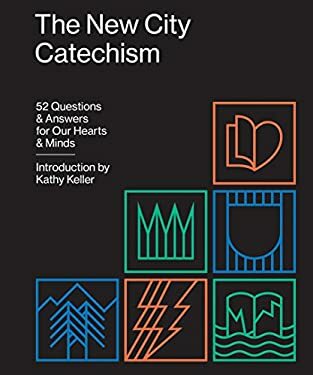 The New City Catechism is a modern-day resource aimed at reintroducing this ancient method of teaching to Christians today. This short book lays out 52 questions and answers related to God, human nature, sin, Christ, the Holy Spirit, and more. Whether used devotionally, recited orally, or memorized over the course of a year, families, churches, small groups, and Christian schools will treasure this as a valuable tool for teaching the core doctrines of the Christian faith to children and adults alike. New (27 available) BRAND NEW. Over 1.5 million happy customers. 100% money-back guarantee. Make your purchase count: support Better World Books' worldwide literacy partners.